One of my proudest moments as a blogger, thus far, was being named 'Tech Junkie' in the first ever Globe Tatt Awards held last year. This honor is important to me not just because it recognized all the hard work that I put into this craft but also - and more importantly - because I couldn't have gotten it if it wasn't for the support of the whole TechPinas Community. I always say that the opportunity to publicly share my thoughts about technology, gadgets and social media via TechPinas in itself is already a blessing but to have loyal readers and friends who are willing to go all out in supporting me - in any endeavor - is a precious gift. To this day, my heart is still filled with gratitude for all TP Friends who voted for me then and who continue to support TechPinas. 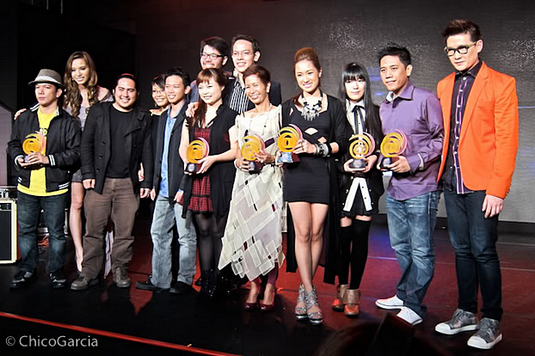 This year, Tattoo - the #1 broadband in the Philippines - continues its trailblazing recognition of social media celebrities and influencers with the prestigious Tatt Awards, the first-ever awards platform for online personalities who have inspired, led, influenced and sparked changes in the world in a positive way. 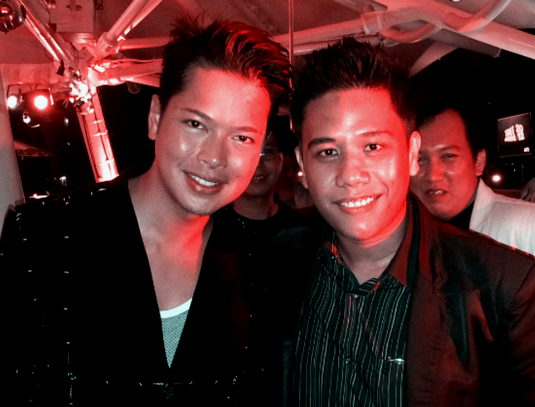 Dong Ronquillo and I at #TattAwards 2012 Launch held at Buddha Bar last April 25, 2012. "This year’s Tatt awards will honor a new batch of digital rockers," shares Dong Ronquillo, Head of the Tattoo Nomadic Broadband Business. He adds, "What sets Tatt awards from other web-centric awards is that we look beyond mere statistics and acknowledge individuals who have expressed an opinion, created inspiring works or ignited social change. This is not a mere popularity contest but a recognition of people who used the social media space to share what they are most passionate about and, in the process, created positive influence and stirred action among people." 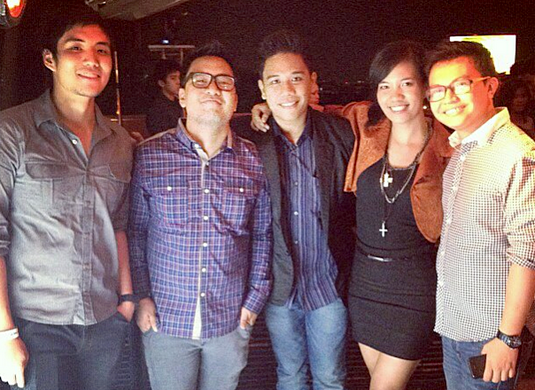 Francis, Coy, Megan and Winston of Globe Telecom's Social Media Team and I pose for the camera during the event. "The Tatt Awards is our venue for recognizing digital rockers who, through passion and individuality, have created a space that is uniquely theirs, but sincerely shared with others." Support your favorite online rock stars who rocked the social media stage as Tattoo opens the curtain once again to give them their well-deserved Tatt awards. Friends, you can now cast your nominations for this year's The One, Stylisimo, The Explorer, Game Changer, The Visualizer, Thought-Mover, Video Slinger, Indie Rocker, The Advocate and Tech Junkie at the Official Tatt Awards page. 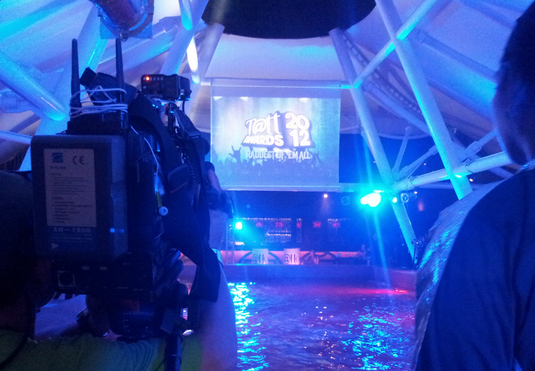 The Tatt Awards committee will accept nominations from now until May 20, 2012. The Dreyfuses and I. 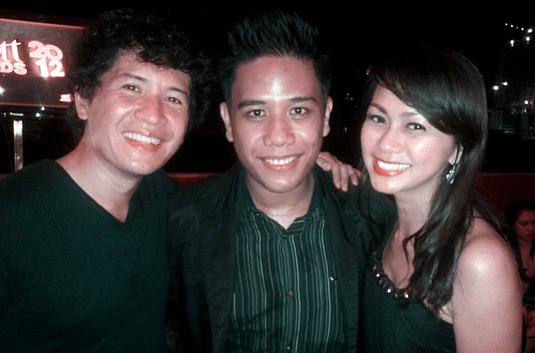 The lovely couple, Chuckie and Yen; Amazing peeps. 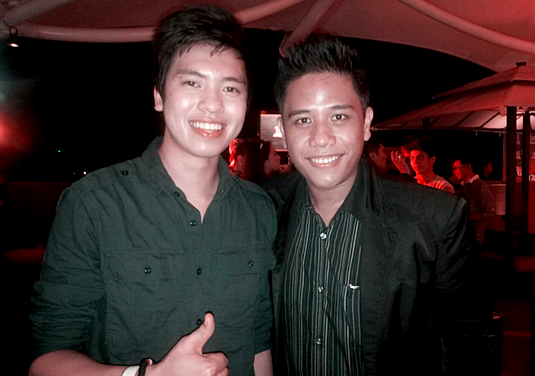 Me and Twitter Celeb, Kimpoy Feliciano. Some 'experts' talk about how to harness social media; This guy does it - everyday. Thumbs up!